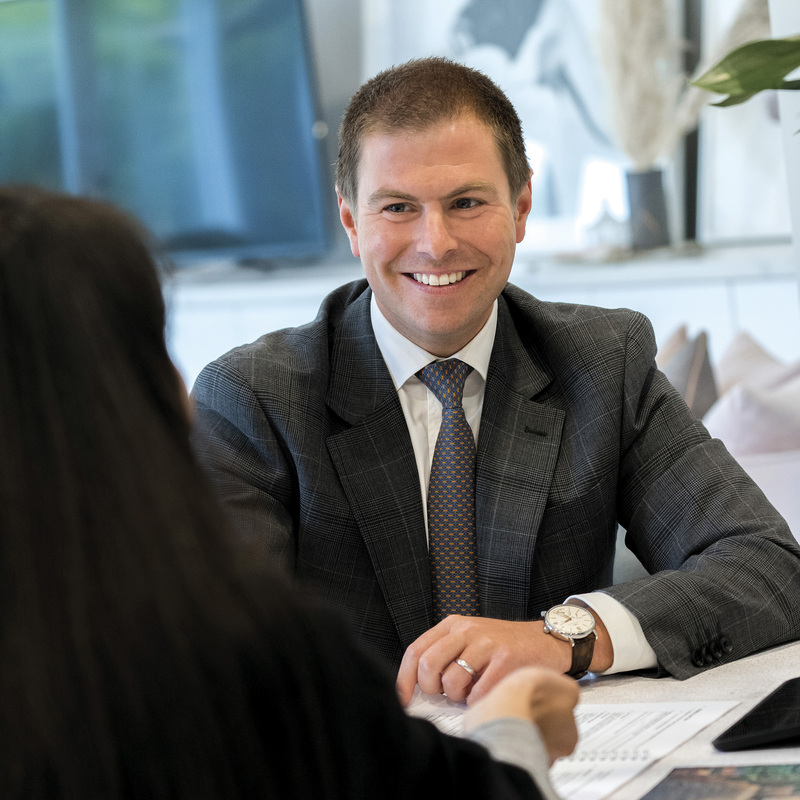 Property was always a topic for discussion growing up in the Krongold family, so it was no surprise that after 12 years at Scotch College and a couple of years studying for a Bachelor of Science majoring in psychology, Justin took his first job in real estate as a sales executive. Determined to succeed, he exhibits a drive and focus beyond his years. Far from being a disadvantage, Justin credit’s his relative youth with allowing him to focus on the task at hand without outside responsibilities or distractions. Already he has earned a reputation for his boundless energy, enthusiasm and eye for detail. Having lived his entire life in Stonnington, Justin has a natural affinity with the area and thorough knowledge of all its many attractions. In his spare time Justin likes to cycle, play golf, collects wine and snowboards in the winter. As a member of both the VRC and MCC he also enjoys attending the Spring Carnival and watching Melbourne play. I just wanted to provide Justin Krongold’s manager with a glowing appraisal of his services. He recently sold our property at 26 Aintree Road, Glen Iris. He was highly professional and clearly went the extra mile. I have felt with a number of estate agents, but non with his level of integrity and service standard. I rarely take the time to write a testimonial, but I felt his commitment and approach was unique and required acknowledgement. You are incredibly lucky to have him on your team and I already have recommended him to friends and family. I would like to express my sincere appreciation and delight to you, Justin, Andrew and all the Marshall White team for an outstanding result for the recent auction of my home in Glen Iris. From the first time I asked you to provide me with a quick appraisal of the value of my home almost 4 years ago, you kept in regular contact with me so that when I was finally ready to ‘take the plunge’ just over a year ago, you were my first port of call. During the time that my property was being prepared for sale and then through the entire campaign period you and Justin were in regular contact and kept me fully informed about every aspect. No question of mine seemed too trivial to answer. My family were particularly impressed at the way you conducted our final pre-auction meeting as well as the auction itself which achieved an excellent result. Thanks again for all your efforts. I would have no hesitation in strongly recommending you and Marshall White to any of my friends who are considering selling their homes. They would be in the most capable hands. We have recently sold our home in Armadale aided by the expertise of Marshall White. Both Justin Krongold and John Manton showed a firm knowledge of the fluctuating market, the area and the psychology of prospective buyers. Their professionalism, planning and execution of the marketing of our house was excellent. We were never in any doubt that we were in good hands. John’s ability as auctioneer was superb. In a precarious selling climate, both Justin and John’s predictions for the day of Auction proved very sound. Dear Justin, thank you very much for your assistance in the sale of our home, 30 Seymour Ave, Armadale on 15 November, 2014. As you are aware, the result exceeded our expectations and this was largely due to the efforts of you and the team at Marshall White. Your advice in relation to the advertising campaign and the presentation of our home really set it apart from other houses in our area. We had numerous comments and interest arising from the advertising and it was clearly widely seen and discussed. Your recommendation to use the services of Megan Robinson and Cooper Robinson Interiors also greatly assisted. We had a number of compliments on the presentation of the house and believe this assisted in getting the great result. Your support and assistance was appreciated. You were always available to provide advice and guidance through the process. Whilst we were not ‘present’ at the auction, our friends and family that were there were really impressed with Andrew Hayne’s conduct and handling of the auction crowd. We would not hesitate to engage the team at Marshall White again and recommend you to friends and family.